You might have read that IBM and HCL announced an agreement today in which a lot of IBM software ends up with HCL, including IBM Commerce. Here’s my first thoughts on the announcement. Let’s start this out with a simple truth. eCommerce technology has commoditized. A lot of system integrators have been making a lot of money building out eCommerce platforms. Hybris, Oracle, and IBM implementations don’t come cheaply. With the shift to headless commerce engines, especially the SaaS-based ones, the back-end to manage your catalog and transactions is no longer the differentiator or worth spending hundreds of thousands of dollars a year on. SaaS-based models in which you pay for service invocations as you use them are the future. Companies such as Commerce Tools or Elastic Path are really taking a lead position here, even Hybris has been experimenting with YaaS for a while. Of course you can build your own eCommerce engine, but why would you use engineering cycles on building micro-services you can get elsewhere for pennies and have someone else take care of scaling, maintaining, and securing them? For me, I’d rather spend my cycles differentiating my brand. eCommerce vendors have to also re-think their rev-share based pricing models quickly (I expect Salesforce to announce something in 2019). And I’m sure that scares them, and I would postulate that this is at least one of the reasons behind the HCL and IBM announcement. Adobe AEM implementations have been a staple of the agency business, with most major players building $100m+ per year businesses out of it. I’ve done my own share of them, yet the lack of flexibility and agility in the platform are what attracted me to take over product strategy at CoreMedia 5 years ago, where we created the product to tackle all of these weaknesses. We built the first version of our eCommerce-enabled CMS jointly with IBM, which is why the ecosystem is still very dear to me (at this point, however, we pretty much have plug-ins for all commerce engines). Yet instead of building out another CMS solution that just wants to own the experience, we focused on AGILITY and easing the transformation to an experience-led storefront into manageable increments. How? Well, first of all, all integration scenarios come out of the box. Snap the CMS into your existing storefront to start managing content and go live with that solution in a few weeks, show value to your business users. Behind the scenes, you then start moving homepages, CLPs, PDPs, and all other pages over to the CMS in increments, running CMS and eCommerce side-by-side. In the end state, the CMS owns the entire experience and the back-end eCommerce engine is purely headless. If you still want, it can then be easily swapped out, or you can run multiple in parallel without the end user ever noticing. So the gist of it as far as I’m concerned? CMS is the big winner here, and eCommerce agencies and system integrators need to double down on their CMS skills. That’s where the differentiation and the user experiences of tomorrow are created. eCommerce platforms are commoditizing into a services-based layer. 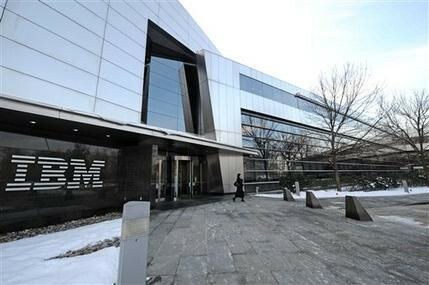 IBM and HCL are just confirming that, as far as I’m concerned. Content and Commerce Nerd. All views expressed are my own.